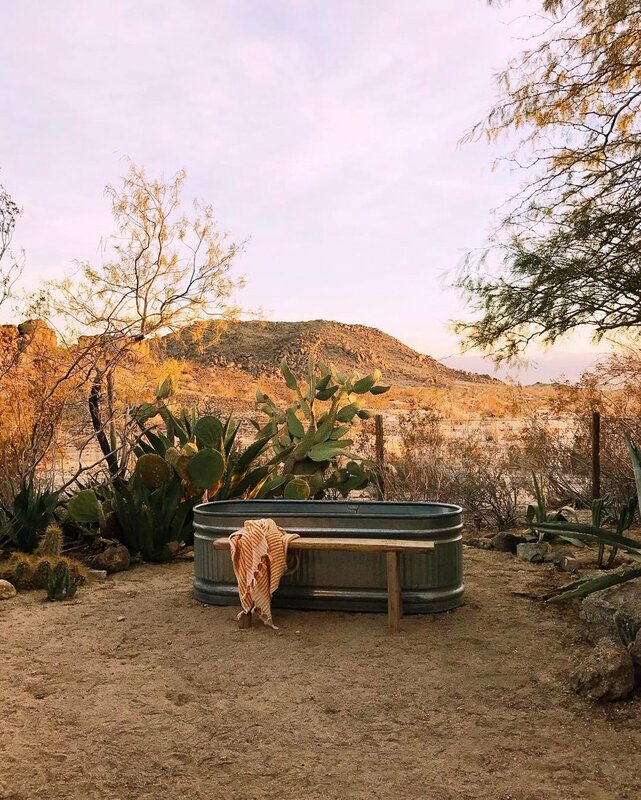 Creative duo Sara and Rich Combs fell in love with Joshua Tree & the California desert the first time they visited, during a one night stay on a cross-country road trip. They were crazy about the surreal landscape and the creative community in the area. 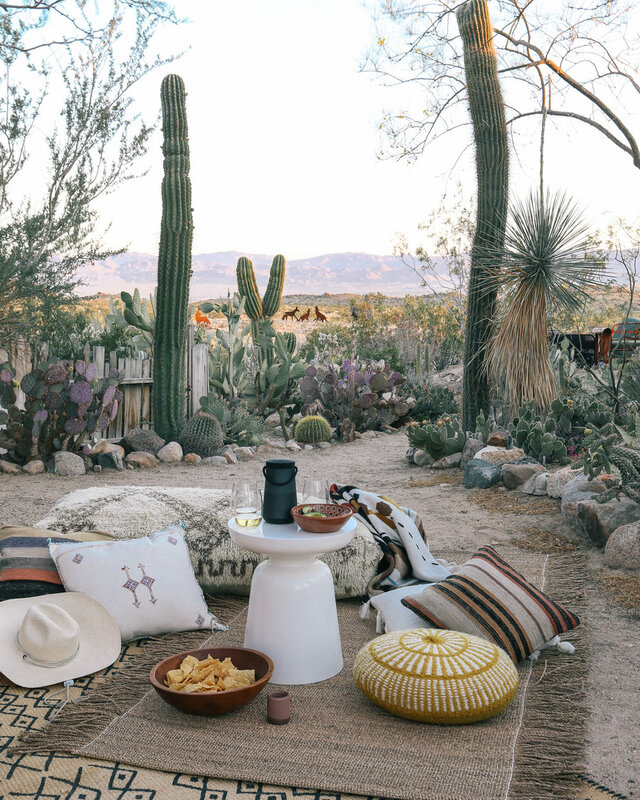 After setting their heart on JT, the couple bought a 1940s hacienda which, in less than a year, they renovated carefully preserving the hacienda's original charm and turning it into a magical desert home. 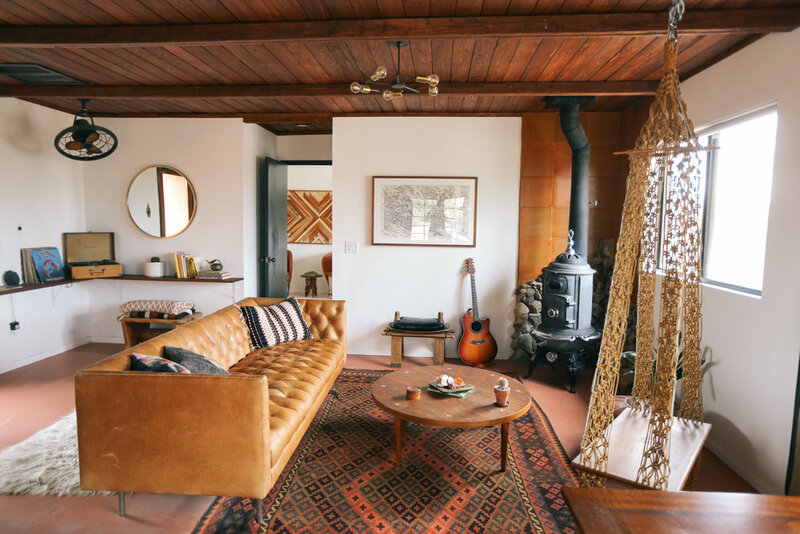 They continued seeking the perfect properties in Joshua Tree to renovate, decorate, and rent to design-oriented travellers. They then built the new projects: Casita, Hacienda & House. The house was decorated tastefully with mid-century modern furniture, wood ceilings, worn concrete floors, a jacuzzi made for stargazing and counts with over 100 Joshua Trees on the property... Each room in the home was carefully designed, inspired by the soft tones of the California desert landscape. The house makes you enjoy a slower life, while listening to music from a vintage player & sitting on a swing chair or hammock, taking a bath under the stars, enjoying that morning coffee.. 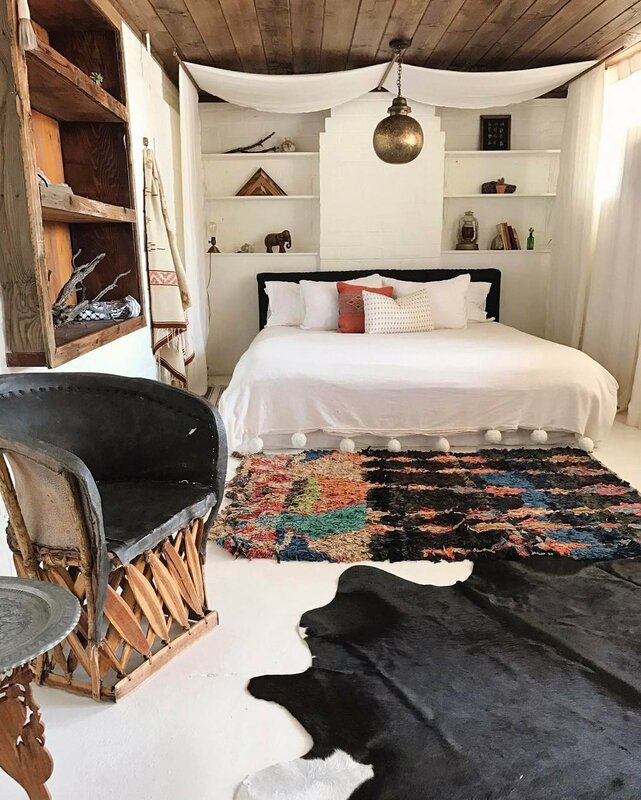 The following photos are from Sara and Rich's Hacienda, Casita and House, all of them are available to rent by clicking here.